This 4 week workshop will begin Sunday, April 2nd and 23rd; May 21st and 28th: 12:30pm -2:30 pm. 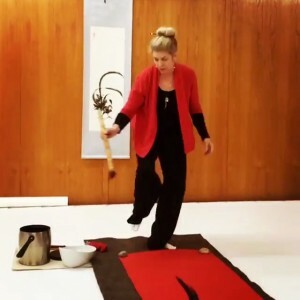 Patricia Larkin Green will be instructing 4 classes of Sumi-e (each 2 hr long). Advance at your own pace—you do not need to know how to paint with ink, all levels are welcome, and course materials will be provided. The emphasis is on the process! New students will be introduced to the “Four Treasures” (The ink stick, the ink stone, brush and paper).Each class will begin with a demonstration then guided instruction on how to paint“The Four Gentlemen” (The lessons introduce the student to the four basic strokes groups). Advanced Students will work at their own pace discovering “idea” paintings. Course materials will be provided and there is a 5 student minimum, so please preregister at: info@japaneseculturecenter.com or by calling the office directly (773) 525-3141.